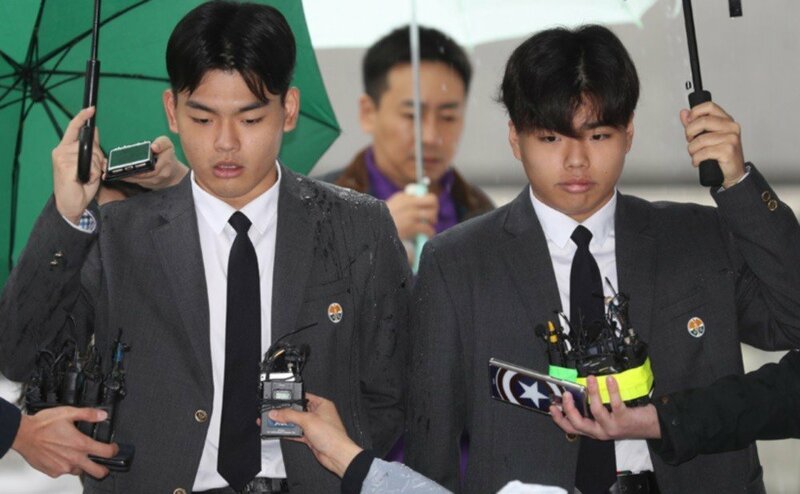 The East Light's Lee Suk Chul and Lee Seung Hyun underwent police investigation for the abuse they and their groupmates suffered at Media Line Entertainment. On October 26, the two brothers faced reporters at Seoul's Bangbae Police Station along with their father and lawyer. Lee Seung Hyun expressed, "I'm really tired and really scared. Even on June 13 when producer Moon Young Il locked me in a room for 4 hours, pulled my hair, and made me bleed, CEO Kim Chang Hwan just said, 'Go easy on him.' Moon Young Il physically abused me for 2-3 more hours. I'm so scared because I remember it just like it was yesterday." When asked if he's receiving psychological help, Lee Seung Hyun said, "I am. I'm still receiving it now. I think this sort of thing can never happen again. I'm telling you right now right here, and during the investigation, I'll tell you everything that happened." I hope they get the justice they deserve.